Oh, that's early! Here in Germany, we have snow again... The first daffodils were out, though. I love your lavender columbines. And I love visiting your place. It always gives me inspiration to bake something, somehow. For Easter, it will be your baguette... And carrot cake. They are lovely but...what are they? I bet they smell gorgeous! These are lilac blossoms--so fragrant! Thank you! 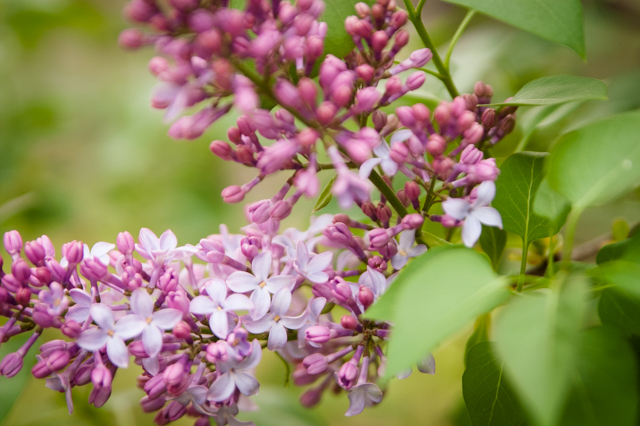 We're still several weeks away from lilacs in the northeast, but at least it stopped snowing! Lilacs were my mother's favorite flower. Ours here in Iowa are just starting to put out leaves. Thanks for sharing your gorgeous blooms. It's a lovely preview of things to come.